LA grunge outfit Love Ghost are moving fast yet with unquestionable skill and passion. Their debut Album Lobotomy is one that feels fresh from the first days of the genre – the rather epic Girl Pusher kicks things off with a hook section and wall of distorted audio that would have made waves during the nineties. The refreshing benefit is that Love Ghost also thrust inescapable elements of modern life into their writing, as well as an endless level of creativity. The viola brings something incredibly new and exciting to the stage, and as you hear the songs unfolding, the passion and power of the delivery from every angle is immense. Girl Pusher is a heavy way to begin, still things grow more and more eclectic and interesting as the album progresses. The Scarlet Letter breaks the mood down to the gentle and reflective. Finnegan Bell’s leading vocals laid bare showcase a captivating level of grit and soul that shines brightly among this near-acoustic backdrop. He screams out on behalf of the story line and, in the process, on behalf of the listener – precisely the qualities of grunge and hard rock we originally tuned in for. Mia Greene’s viola playing stands tall and beautiful alongside of the vocal outpouring. This early change in style and presentation captures your interest from the offset. There are many layers to this band, creatively, emotionally, skillfully, and in their manner of story-telling – the album is a brilliant journey through all of it. Love Ghost compose musical experiences that express their inner struggles and personal turmoil in a way that fully utilises every instrument, every second, and every lyric. Each song takes its time to build itself up before you, inviting you along for the ride but never falling complacent or victim to expectation. Parasitical Identity is a strong example, a heavy track soaked in raw energy and reverb. The melody changes in an instant, unpredictably, expressing the inexpressible and keeping you on your toes yet reminded of the unstoppable whirlwind that is modern life. Elsewhere on the project, the band’s unusual and intriguing reference to a classic – Danny Boy – makes for a further flicker of surprise. This track evolves brilliantly, the unity between instruments as the riffs rise and fall is thick and energizing. 24-7 is a personal favourite, a stunning song, the strings and the vocals contrast beautifully, offering sheer soul and delicacy combined. The verse melodies lead beautifully up towards a warming and unexpectedly colourful hook – well received at this point in the project. Tall Poppies follows with the simple rhythm and progression of an indie-rock classic, later bursting into flames as this energetic and manic meeting of instruments and power. 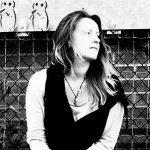 This Is The Truth then appears with a beautifully emotive soundscape and an up close and personal leading voice that lays bare poetry and personal truth in a compelling way. This evolves to be a definite highlight with musical strength and fascinating lyricism combined. Dead Silence pays tribute to the more creative hard rock bands of the nineties, the meeting between the riffs and the vocal melody carries you along on its rising energy. The volume and weight of the whole thing is hard hitting but intriguing. The contrast between the hook and the verses is brilliant. 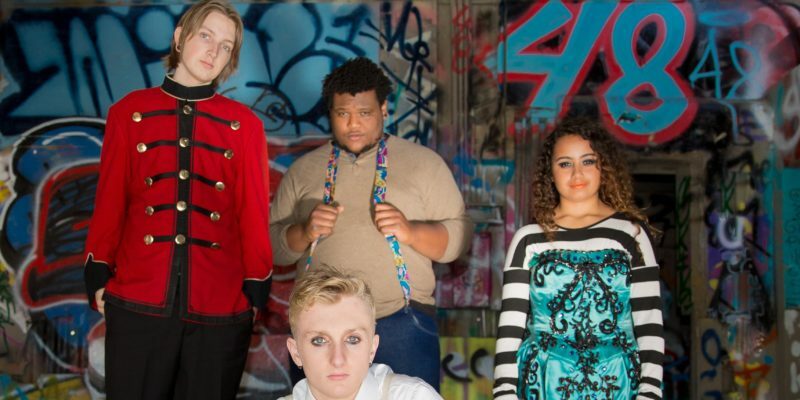 9mm is a musically familiar piece with an accessible melody and a distinctive set of lyrics that hold tight to your attention throughout. As always though, the band don’t let these early assumptions ride far – the song explodes into something much heavier and more intense pretty quickly. Listening loud is the best way to feel the authenticity of their drive and their depth within these songs. Naked is a powerful piece of music that completely sweeps you away on its energy and instrumental prowess. There’s an addictive and again unexpected progression here that makes it fairly addictive and easy to revisit two or three times over. In My Head Again follows to bring the album to a mighty finish. The anticipation of the opening bass-line and these snippets of additional instrumentation creates a haunting, magnetic aura. The whole thing evolves in a stunning way. Whatever opinions you may form about the band after hearing just half of any one of these songs, they’re likely to be blown out of the water within a few minutes of hearing whatever else surrounds it. This album is a work of art for modern grunge and rock in general. Love Ghost are a fairly young band, and with that comes a fresh perspective, unwavering honesty, and clearly – at all times – a genuine love and passion for making music. 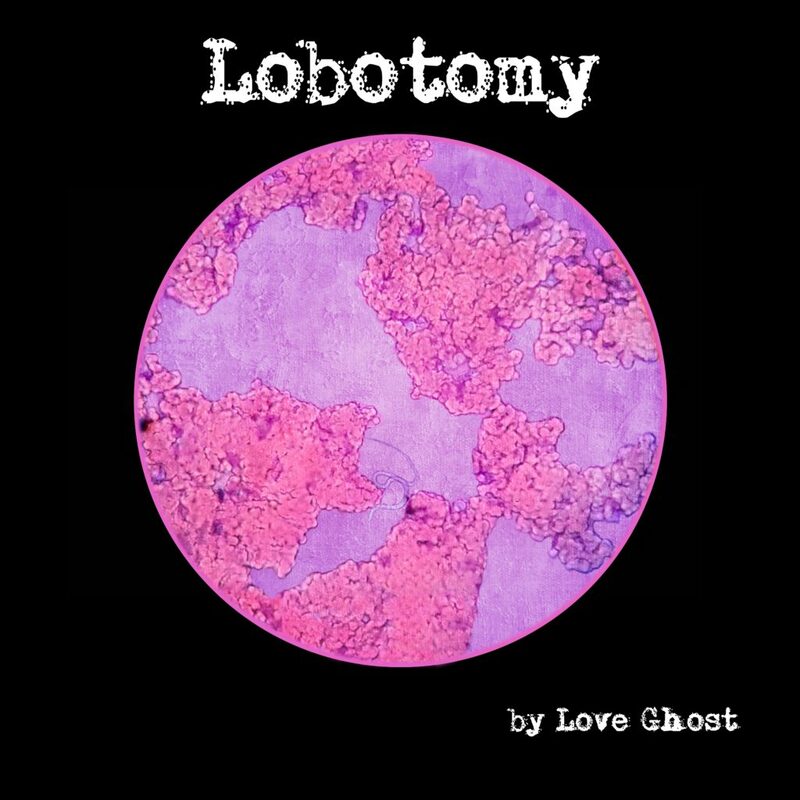 Lobotomy is consistently interesting and musically satisfying. A live show would be a must, and I look forward to seeing where they take things in the future. Stream the music on Spotify. Find & follow Love Ghost on Facebook, Twitter & Instagram. Visit their Website for more info.